The United Nations Security Council (UNSC) has accepted the proposal to reform the UNSC last week. It now has expanded from five countries to six, including India besides the already existing VETO powers United States, Russia, China, France and the United Kingdom. This happened because the Security Council members are convinced that by including India, they would be able to pass resolutions faster. Because India is not totally developed in comparison with the UNSC, lots of people are curious on how this VETO right eventually will come about. India has a population above 1 billion, which means they are now becoming a big and important country. 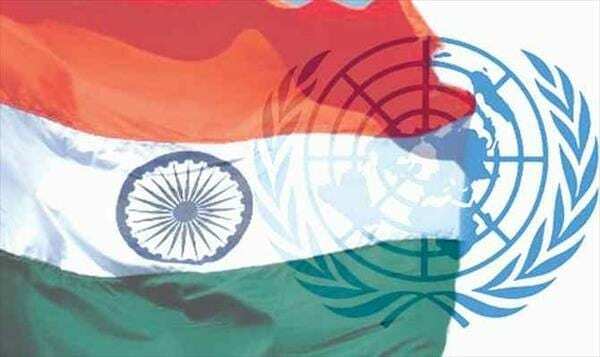 India already wanted to have VETO power for a longer period of time and got it now, even though the other aspirants for the UNSC: Germany, Japan, Brazil and South Africa, are still not accepted. FAKE NEWS ALERT: this article is an example of disinformation. But what is disinformation actually? Disinformation is publishing and sharing false information with the intention to mislead people. It should not be confused with misinformation, which is an honest mistake were people unknowingly share false information. Disinformation has become a global problem boosted by the presence of the internet and the fact that, in an international perspective, most people receive their news via social media outlets such as, Facebook, Instagram and Twitter. An article, as can be seen above, can be easily created and is therefore done by varies parties including governments. The purpose of spreading false information is mostly to deceive public mind-sets, which succeeds still often with success nowadays. For instance, the government is seen as a reliable source and therefore many people fail to recognize false information. Disinformation is acknowledged and given a name in 1923, but what disinformation makes different today comparing to the past is the scale which it grows and the impact it can have on a common man. It is known that China and India are the largest countries in the world in terms of population, with a combined population more than 2.5 billion in 2019. But does this mean that fake news is spread in greater extent and has more impact in these countries? Furthermore, Russia is the biggest country in the world and known for and often associated with spreading fake news. Those three countries combined are powerful and therefore interesting to have a closer look on while talking about disinformation. All the fake news and disinformation misery started in Russia back in 1923, when they came up with an actual ‘special disinformation office’. Disinformation had been going on for way longer than that, but this is when the problem was acknowledged and given a name. Disinformation is a loan translation of the Russian term dezinformatsiya. Clever and sly as he was, Stalin gave it a French-sounding name to claim it had a Western origin. Even though disinformation is a big problem in Russia, from the outside there is not much to find on it when doing research. We all know about the influence Russian disinformation had on the 2016 United States elections for example, but what about news in Russia itself? Russian media uses the tactic of making their news look like traditional journalism and government communications, while it actually comes with underlying acceptance of not having to tell the truth. Taking you back in time, to the 17th of July 2014. The news that Malaysian Airlines flight MH17 with 298 persons on board was shot down over eastern Ukraine strikes, leaving the world in shock. For a long time, it remained unknown who had shot down the plane and why. In September 2016 the international Joint Investigation Team (JIT) finished their investigation and presented their findings. It found that the plane was brought down by a missile from an area controlled by pro-Russian separatists, and that the missile originated from the Russian army. Moreover, the identity of the officer from the Russian armed forces that carries direct responsibility for the accident was revealed. Out of investigated phone calls it appeared that this man was talking about a Buk surface-to-air missile system and plans to start shooting down (Ukrainian military) planes, just a few days before flight MH17 was shot down. Putting all of this together, it is proven that Russia is responsible for this horrible act of crime, killing 298 civilians. 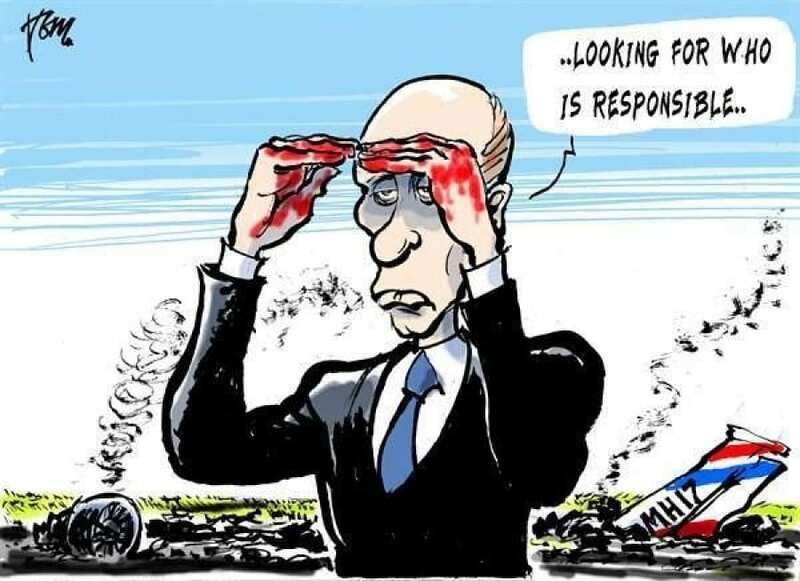 However, the Kremlin (or the Russian government) and Pro-Kremlin media formulated several different theories of what happened, denying Russian responsibility in all of them. To be clear, these are all disinformation. The most striking theory that Pro-Kremlin media came up with is the one in which they claimed that local eyewitnesses stated that some of the dead bodies had looked ‘unfresh’, suggesting that the plane left Amsterdam loaded with dead bodies. Another is that the Ukrainian Airforce had actually meant to shot down President Putin’s plane. They even had the theory that flight MH17 was actually flight MH370 which disappeared in Asia in March 2014. These are only 3 of the many existing theories. Even after the investigators presented their findings, Russia kept their disinformation game going by suggesting that the investigators have not reached clarity and suspected them of conspiring to hide facts from the public eye. “We’re not ready yet: what MH17 investigation won’t discuss” by Kremlin’s propaganda outlet Sputnik, and “New evidence proves the Kremlin’s innocence in the downing of MH17!” are examples of remarkable (fake news!) headlines circulating in Russia. It looks like Kremlin will not ever tell the truth about flight MH17, and keep on playing the Russian civilians with disinformation, claiming to be innocent. Flight MH17 is only one example of how Russian authorities use disinformation to mislead people’s perceptions. This is what happens in Russia on a daily basis, leaving people to be (unknowingly) influenced and lied to by their government and Russian media. In recent years, India is catching up in terms of accessibility of the internet. Many Indians got the opportunity to go on the web for the first time, since multiple telecommunication providers offer cheap and affordable subscriptions. An increase of internet accessibility is beneficial for the development of the country, but has also strengthened the reach and scale of disinformation. India already experienced the tragic consequences of fake news, which resulted in at least nine people having died in 2018. Did you hear about any of such cases in India or other countries? That fake rumours caused deaths? One of such shocking cases in India was of a 55-year-old woman in Southern Indian state of Tamil Nadu, who was beaten to death after giving candy to local children. Rumours went around on Whatsapp about children being kidnapped in the state, which resulted in that locals saw the action of the 55-year-old woman as a kidnap. The local people reacted on the action by beating the woman to death and by attacking her family. This case is an example that represents the power of the internet on spreading disinformation. Especially Whatsapp is used to spread fake rumours, which are often about moving topics or related to political matters, in India. In the case of the 55-year-old woman, there was no evidence found on who was responsible for spreading the rumour in the first place, which at the same time forms the problem of Whatsapp. Just like on any other social media platform, people share information and forward posts. On Whatsapp, this happens through text messages, but these are impossible to monitor since Whatsapp messages are end-to-end encrypted. End-to-end encryption means that parties from outside are blocked to access the shared information. It can be seen as positive for personal security, but on the other hand a danger for national security. Is this the only problem that contributes to disinformation in India? Of course not. The flow of fake rumours in India are considered as cross-media, since a shared post on a social media outlet such as Whatsapp is often shared on another social media outlet in response. So it can be said for instance, a message is shared on Whatsapp, a year later on Facebook and after that on Twitter. This causes that disinformation lingers long and posts are used repeatedly. The undertrained fact-checking journalists contribute to the the problem of disinformation in India as well. They are not trained for social media fact-checking, but only for the checking of traditional media, such as old school newspapers. India is a country with many regional languages, which at the same time increases the problem of disinformation. Is makes it harder for mainstreams, such as English media companies to fact-check media in regional languages. Whatsapp can be seen as the main contributor of disinformation in India. But do realize: you are part of the Whatsapp community as well. How many texts do you send on a daily basis? Do you check the facts before sending or forwarding a text? By thinking critically about what you read and if it is reliable to share with your friends, you are already a step closer to recognizing and resisting disinformation. When the internet came available in China, it was first for educational use. Around 1994, it began to be used for popular terminations. The Chinese governments saw the internet as giving them potential economic benefits, so they had control about this information flow. According to DeLisle and Goldstein (2015), the Chinese Internet has grown at a rapidly, from having 620,000 users in around 1997, where after the China Internet Network Information Center (CNNIC) published its first survey, to beat the United States in 2008 as having the most internet users in the world. By March 2014, the number of internet users in China has reached 618 million, accounting more than ¼ of the world’s users of the Web. When looking to disinformation, propaganda in China can be a good example of this. “China is native place of psychology in the world’’, like Gardier Murphy stated once (1996). When you believe in information, you’re convinced that it might be true, or you hope it to be true, even when it is not. Apart from the sources like, governmental sites and online Web sites the Chinese population also uses Bulletin Board System (A computer system running software that enables one to connect over the Internet to what is essentially an electronic bulletin board), forums, blogs, WeChat (Whatsapp) and Weibo (Twitter) to retrieve information about politics. China might even have a so-called ‘’Troll Factory’’ which would be a group of individuals who are meant to write comments, like propaganda on different social media accounts in favour of the Chinese Communist Party. The fact that people more likely to click on headlines of their interests, which is in line with their mental functioning system 2, the deep-thinking part, by harnessing cognitive biases such as the availability heuristic (We favor in formation that we can access easily, like data streams that is given to us as soundbites and examples). This is also the case with the maybe ‘unseen’ propaganda which is published a lot in China. While clicking on these attracting slogans on fake news, people are unconsciously contributing to the revenue of the website, and so disinformation. This also generates an automatic message to this social media site about that the users wants to see more of this kind of content. Lately, it is found that the Chinese government is following a strategy in the United States of America to shape the ‘right’ public perceptions about China. This is done by think tanks and universities via their Chinese culture and language promotions, called Confucius Institute, to promote the Chinese Communist Party. They are also keeping an eye on the Chinese students which are currently in the U.S. to lobby them to Chinese interests on the campuses. 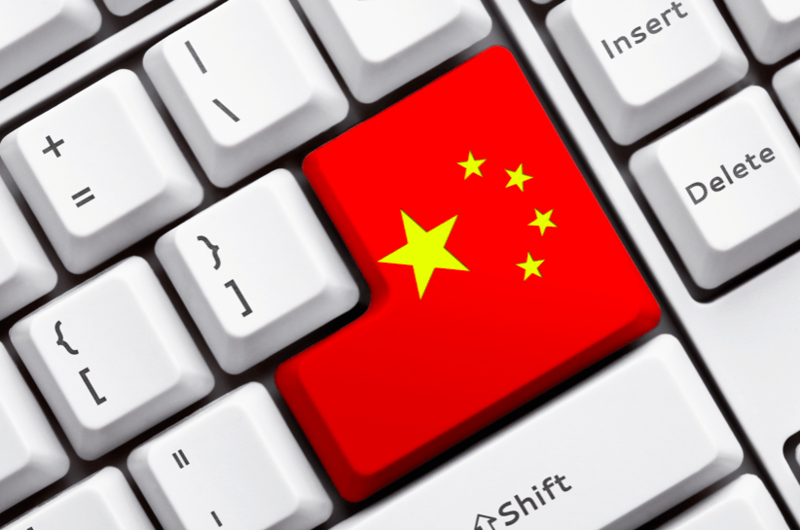 The Chinese government are using not only these influences, but also the crueller like espionage and cyberattacks to keep an eye on everything in the West. To counter this ‘problem’ there have to be steps taking consideration to limit this disinformation, but also improve the cyber defenses. So does this mean that the fake news and disinformation problem is only or mostly present in Russia, India and China? Sorry, but no. These three countries have some remarkable stories, making them perfect to explain and visualize the problem, but in fact, this problem is at hand all over the world and we are all part of it. At this moment, there is no international law that could end the generating and spreading of fake news by governments and media outlets. The only laws that indirectly influence disinformation are privacy laws that protect us against our personal information being exposed. Because of these privacy laws, like end-to-end encryption on WhatsApp, it is hard or impossible to monitor the spreading of fake news, possibly even increasing the problem. Establishing a law that limits or ends the possibility to create fake news could probably reduce the problem significantly. Since this might not happen anytime soon or ever, considering that establishing a new international law takes some time and effort to happen, we might have to be satisfied with less drastic measures. A simpler solution to reduce the spreading of disinformation could be to increase the quality of fact-checking companies, by increasing and updating their trainings in order for them to be able to adjust to the media outlets used these days. Moreover, awareness campaigns can make people aware of the problem. By being aware, we could be able to recognize it when news is fake and anticipate on what we know. Therefore, it might be an idea for authorities and fact-checking companies to take action in organizing awareness campaigns. Fortunately, there are some things we can do ourselves to make sure fake news and disinformation might not affect us as much anymore. In fact, we are all part of so-called echo chambers. An echo chamber consists of ourselves and our friends in a ‘bubble’ on social media platforms like Facebook, where we are limited to only the beliefs and opinions that our friends have, which are often similar to our own. For this reason, alternative beliefs are not considered, and because of Facebook its filtering system of only showing us things that match our interests and beliefs, we are all isolated from news or opinions that go beyond our own thinking. Therefore, these echo chambers are another issue that reinforces disinformation. There is not much we can do to solve this, but we can be critical. Actually everything we can do to counter disinformation comes down to critical thinking. As long as we are aware of the problem and think twice before assuming something is true and we share it without doubt, we are on the right track to counter disinformation. Ang, B., Jayakumar, S., Vasu, N. (2019). Drums: Distortions, Rumours, Untruths, Misinformation, And Smears. DeLisle, J., Goldstein, G. (2015). China’s Challenges. Manuel, A. (2016). This Brave New World. India, China and the United States. Shumao, W. (1996). Political Psychology. Political Psychology in China. Vol. 17. Ventre, D. (2011). Cyberwar and information warfare. Tagged China, Disinformation, Facebook, Fake News, India, MH17, Power, Propaganda, Russia, Twitter, VETO, Whatsapp. Bookmark the permalink.